Changes in Wales during the past half-century have been rapid and fundamental, posing a range of important questions for social scientists, not least the extent to which Wales can be considered to be a separate and distinctive society. 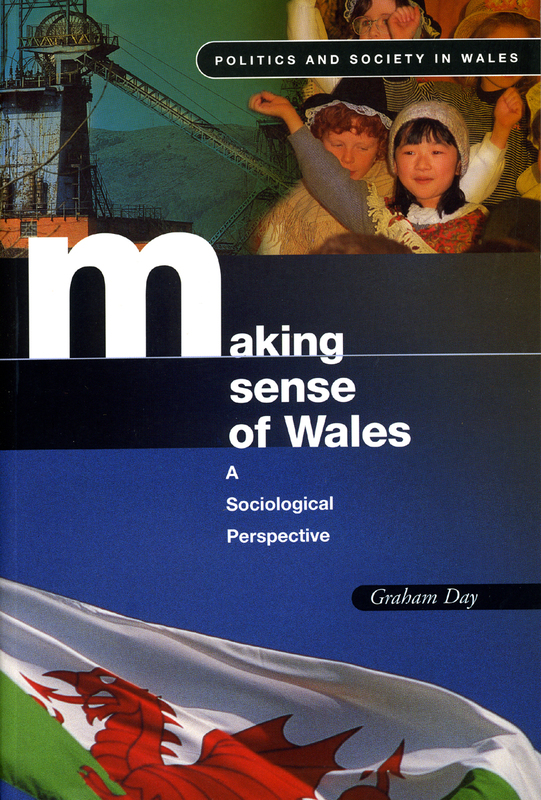 Making Sense of Wales is the first major attempt to provide a thorough and accessible sociological examination of the changing nature of Wales, and to consider how social scientists, especially sociologists, have met these challenges. Graham Day discusses the emergence of a sociology of Wales in relation to shifting theoretical and conceptual frameworks, showing how they connect with contrasting visions of Wales and its economic and social structure. Beginning with post-war analyses that approached Wales from a perspective of regional policy and planning, Day explains how they were overtaken by more theoretically informed perspectives enabling greater awareness of the complexity, and variety, of Welsh society. Particular topics covered include the decline of traditional industries and communities, the contrasting nature of urban and rural Wales, arguments about “development” and dependency, the impact of economic restructuring on patterns of class and gender, the role of the Welsh language and the social foundations of nationalism and national identity. 8. Contemporary Rural Wales: Via Development to Dependence? 9. Debating the Transformation: A Welsh Economic Miracle?